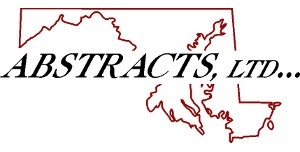 The Title Counsel Committee (TCC) is open to attorneys and paralegals (agents and underwriters) who are members of the Maryland Land Title Association. The TCC meets quarterly to discuss topics selected by the committee members. To join the committee, please contact us at [email protected] or fill out an interest form online. The regularly scheduled title counsel committee meeting for 12/13/2018 has been rescheduled to January 23, 2019 at 11am-1pm at Eagle Title - 181 Harry S. Truman Parkway, Suite 200 | Annapolis, Maryland 21401. The upcoming session will focus on "Maryland Medical Cannabis and Its Treatment Regarding Land Use, Title, Real Estate Ownership, and Financing." Please RSVP to Brad Walsh at [email protected]. Thank you for attending the title counsel committee meeting during the 2018 Fall Convention at the Loews Annapolis Hotel. Title Counsel Committee meetings are normally open only to MLTA member attorneys and paralegals. By special invitation, this meeting was open to all attorneys and paralegals in Anne Arundel County.